MSNBC is adding “Up” back to its weekend morning schedule — but with a new host and new look. 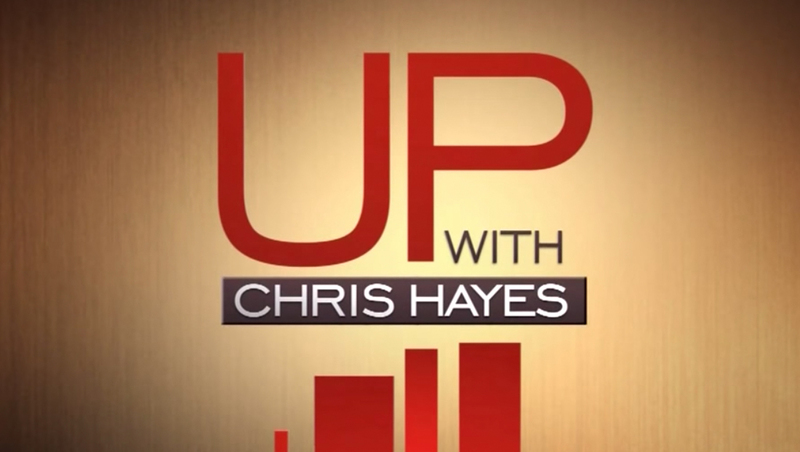 “Up” originally launched in 2011 with Chris Hayes as host. Hayes hosted until 2013 when he departed the show to focus on his weekday show “All In.” Steve Kornacki took over until 2016 when it was shelved. When it first debuted, the show used a wide, clean logotype along with a bold red and gold color scheme. In some cases, the gold was toned down slightly to be more of a cream color. 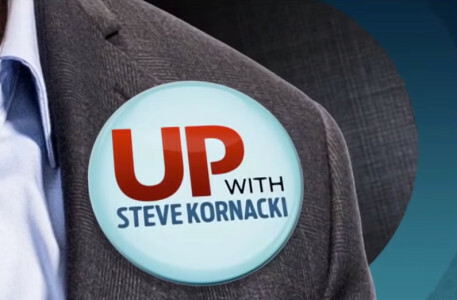 In 2014, MSNBC switched to this look for ‘Up’ with Kornacki now serving as host. The change added a circular logo. new color scheme as well as references to political buttons. 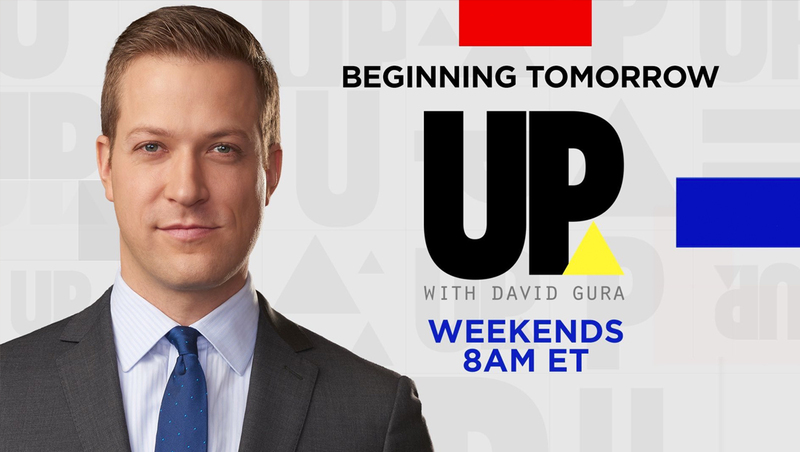 In the show’s latest look, an ultra bold and condensed version of the word “up” with a literal reference in the form of a bright yellow arrow placed in the lower right corner of the “P.” New host David Gura’s name, meanwhile, appears in a clean machine-style font below. The look is accented with red and blue blocks. The new ‘Up’ logo design. Gura joined MSNBC in late 2017 as a business and economy reporter.